Your Top Three People To Get You Through Your Tough Moments Of Life! I didn’t know the importance of my top three until I started having my children. But, I found that when I became a mom many of my friends were not. Some were in certain places building their own lives getting married or their careers were exploiting. I sat envious listing to there lives full of adventure traveling, fun dates and overall fun, not mom life like me. How could I make talking about kids poppy diapers sound exciting? Having your top three around is your way of keeping your sanity. Those who understand are the ones who have lived through the hardest of times. My top three is very understanding, able to connect with you even when you do not want to hear it. Ask yourself who are your top three people and do they fit these qualities? They tell you the truth with no pity party! Your top three are going to keep it real with you. No sugar coating anything. You know they have your back! They will tell you that you need to take care of yourself even when you can’t make it happen. They will not judge you for being a hot mess just merely take those gifts and make it work in your current situation. Who does that in your life? You can Vent without consequences! 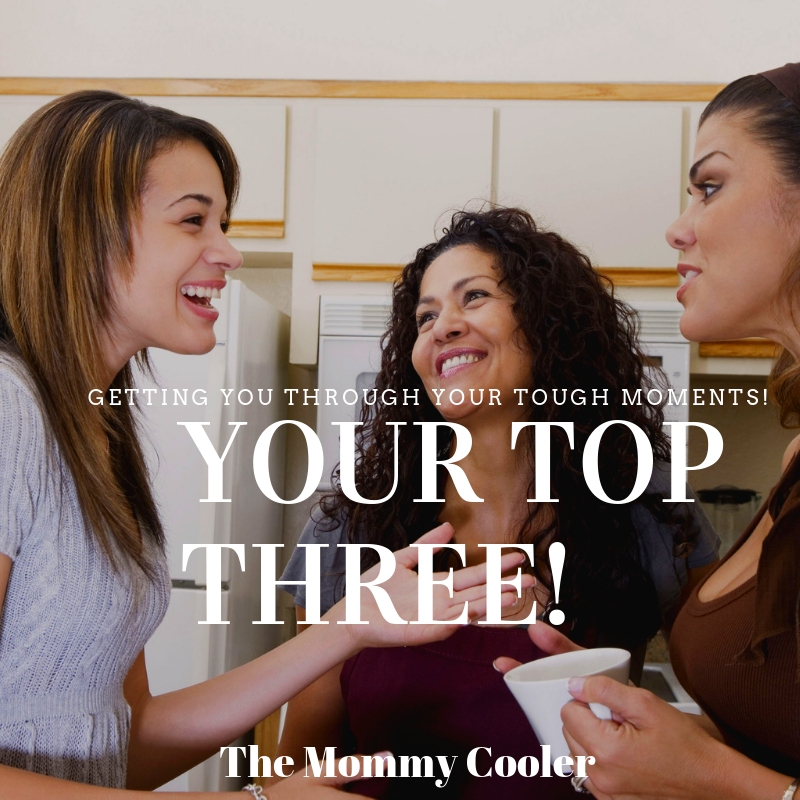 Your top three will help act as your witness to your thoughts, how you might think you’re a bad mom or bring you back after a situation has gone bad with your significant other! They are your very best therapist! The best part is you are building even a stronger bond for a life long sisterhood. Health Support when you are down! Recently my girlfriend’s family had the flu! Knowing this is contagious, I still helped her when she could not. Some would look down on this but helping is in my blood because she is a single mom with no other support. I was her help to get stuff she needed or a quick vent about being sick! As sick as she and her family were, she was thankful for this! Your top three will let you nap while they help you with your kids despite if they need to do their own responsibilities. They won’t guilt you for not taking care of yourself but will help you to find ways to feel better for yourself. Having a top three will only help you navigate through the hardest moments of life. They even can help if you have other friends who aren’t in this close-knit circle but help cultivate better relationships with everyone in your life without you going crazy! Who are your Top Three?